How can I really figure out what type of services my loved one needs? When you contact Coastal Companion Care we will set up an assessment meeting with our RN Nurse Supervisor who will help you develop a specialized plan for your loved one based on his/her individual needs. The type and amount of In-Home services needed are based on a person's current overall condition and family and/or community support currently in place. How can I pay for Coastal Companion Care services? We accept Private Pay and Long-Term Care insurance. Most Long-Term Care policies cover in-home assistance and since we are licensed by the State of North Carolina, we can provide care. We will help assist in the insurance process by submitting claims on our client’s behalf. We will also gladly meet with you to help review your policy and answer questions. Do I need a doctor's referral for Coastal Companion Care Services? No doctor’s referral is needed. Simply call our office, 910-457-5300, to arrange a meeting with our RN Nurse Supervisor to meet with you, preferably in the home of the person who will receive services, in order to discuss your family’s needs and how to serve you best. How do I know if services are needed yet? 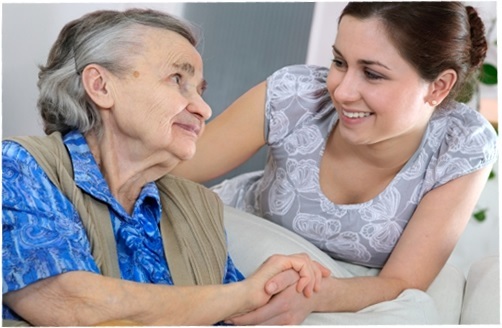 Beginning home care services can create anxiety not only for the individual themselves, but also their family. During our in-home assessment we can help answer questions, give more context about our services and ease some of that anxiety. Preparation is key. Many emergencies can be avoided by preparing in advance for support in the home. What do we look for in an agency? Experience! Not only search for an agency that has been around for a long time, but also look for an agency that has significant Home Care Industry experience amongst its current team. At Coastal Companion Care, we have over 80 years of Home Care Industry experience amongst our office team. Also, look for an agency that is licensed with the North Carolina Department of Health and Human Services and an agency that is bonded.